In recent years, home audio has undergone major transformations. Families now watch their favorite movies on sophisticated, super-thin TVs. Streaming services keep even the most demanding movie watcher up-to-date, and digital technology has changed how we listen to music. But your media system is more than just a collection of electronic devices. It’s important that the furniture that houses your electronics is engineered to protect and showcase your investment for years to come. Whether you have a sophisticated ear with a taste for classical music or a movie enthusiast that enjoys surround sound, how so you determine which furniture is going to best suit the needs of your system and style? 1 - Set the Stage. Gone are the days of stereo racks that look like they would be more at home in your closet than in your decorated living room. Your media furniture sets the stage for home entertainment, and there are more than 75 wonderful designs to choose from. As the focal point of the living room, the furniture you choose should speak to your personal style. Classic? Modern? Transitional? Our work isn’t overcomplicated. It’s simple and timeless, and every function has been completely thought through. 2 - Size it out. Determine the length, depth, and height of your TV without it’s stand. 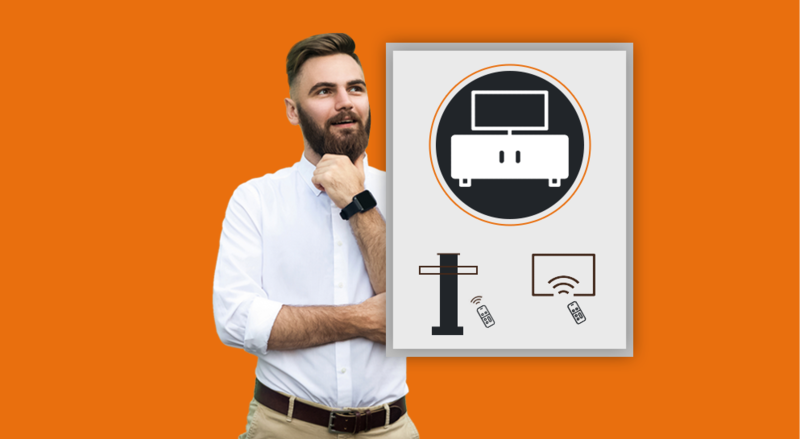 To protect your screen, ensure that your TV is no taller or wider than our Maximum TV Dimensions listed on each product page. 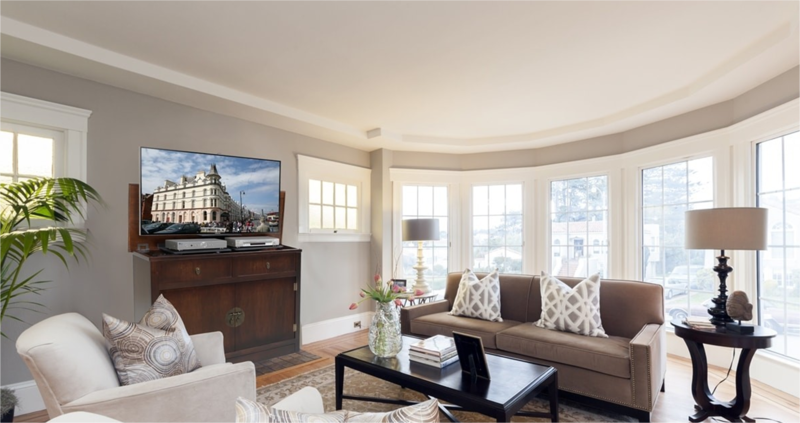 When your TV is easily attached to the lift mechanism, the TV will be in better visual balance and it is protected from accidental bumps and accidents. Take stock of your electronics, including DVR players, cable boxes, dedicated video streamers, speakers and gaming systems. Determine the space that you need to store your electronics. Smaller components can typically be stacked, while items that give off a lot of heat - like gaming consoles and amps - should stand alone. Whether you decide to keep your components on a cabinet with a valet tray, in the cabinet base, or behind doors, they are always hidden discreetly. Typically, discrete means opening and closing doors to allow your remotes to speak with the equipment. 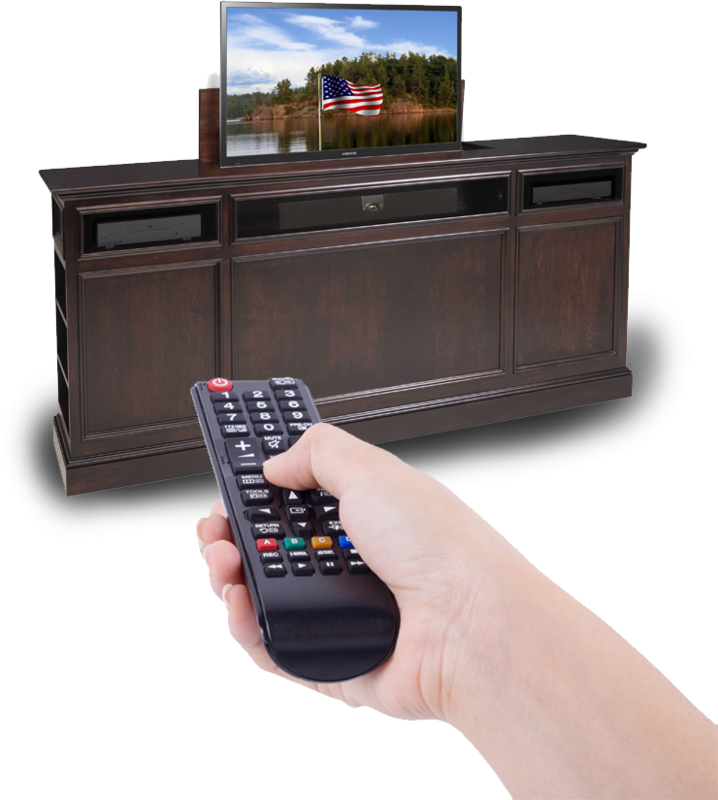 At TVLiftCabinet, your equipment is always remote control-accessible. 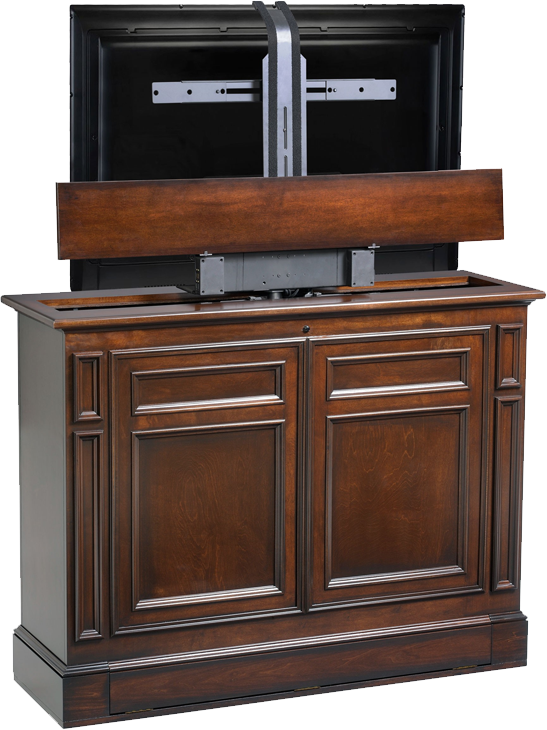 Valet trays that ride up and down with the TV, louvered doors, and built-in infrared repeater kits allow remote signals to pass through or over in an unobstructed fashion. 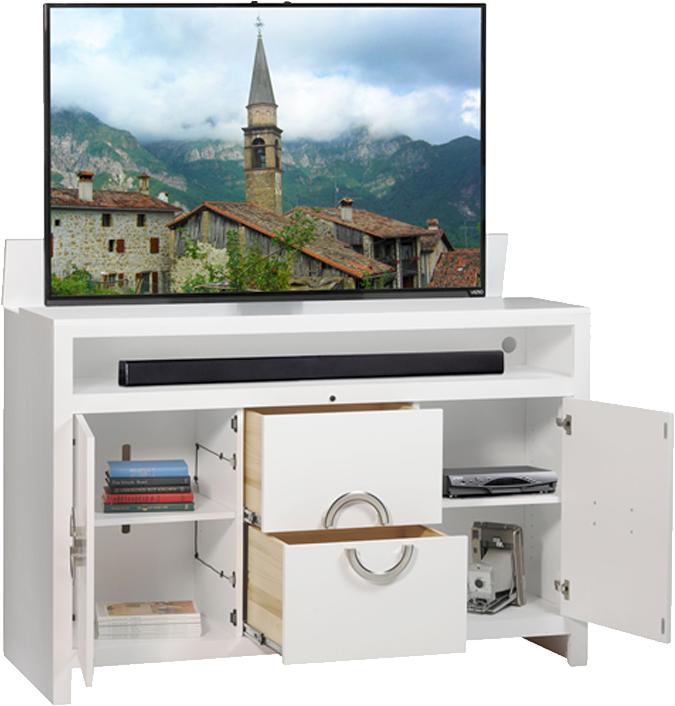 Every cabinet we design and manufacture ensures that your remote is always in touch with your AV equipment when you need yet allowing the same equipment to be completely concealed when you do not. Our most popular option is to mount the soundbar to the lift using a product called sound bar brackets. These brackets easily allow your soundbar to travel above or below your TV. 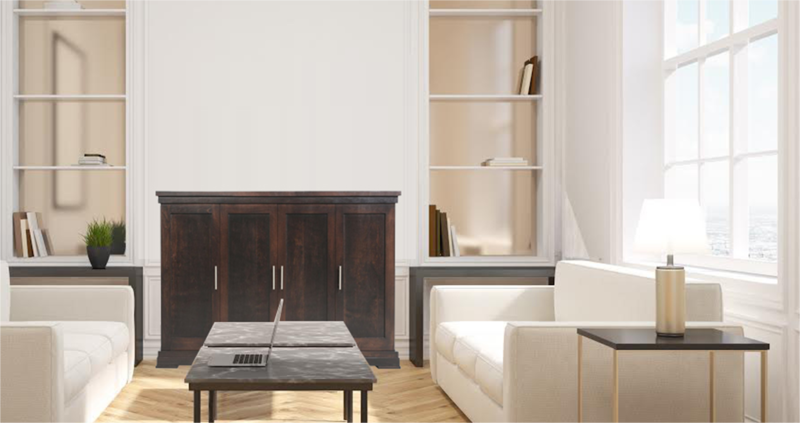 Mount your soundbar in one of cabinets with an exposed soundbar cubby and flank it with your favorite family photos. Behind closed doors with one of our cabinets that utilizes speaker cloth panels. Regardless of the acoustic storage option you choose, your family will always have complete surround sound. Components come in all sizes and shapes. Our fully adjustable shelving allows you to reposition your shelving. Vibration control screw in place shelf pins keep vibration to a minimum and ensure that your components performance. 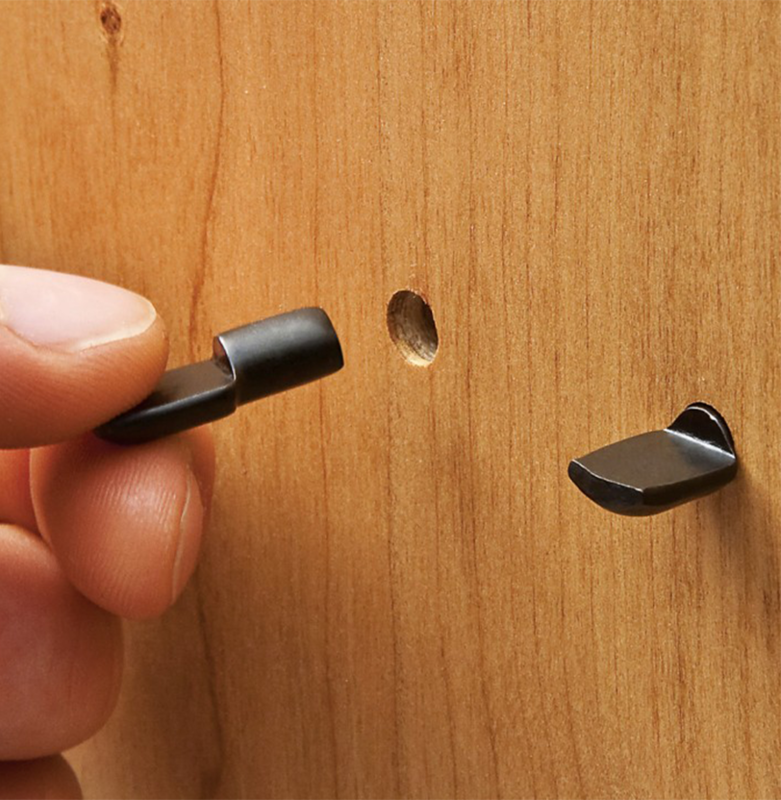 Hidden caster wheels or adjustable non-marking floor glides allow you to glide an entire system away from the wall for easy access to cables and connections. 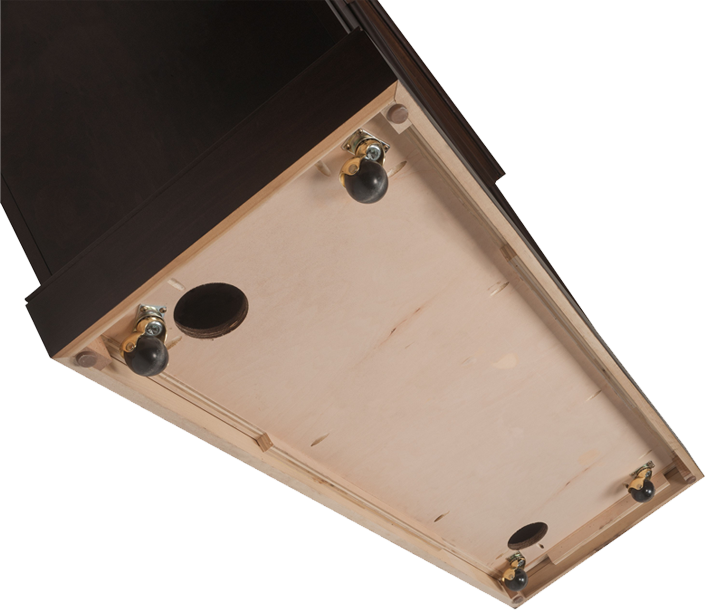 The integrated floor levelers enable you to adjust the cabinet for unlevel surfaces. Power cords, HDMI cablets, etc tend to result in messy entanglements and disorganized clutter. 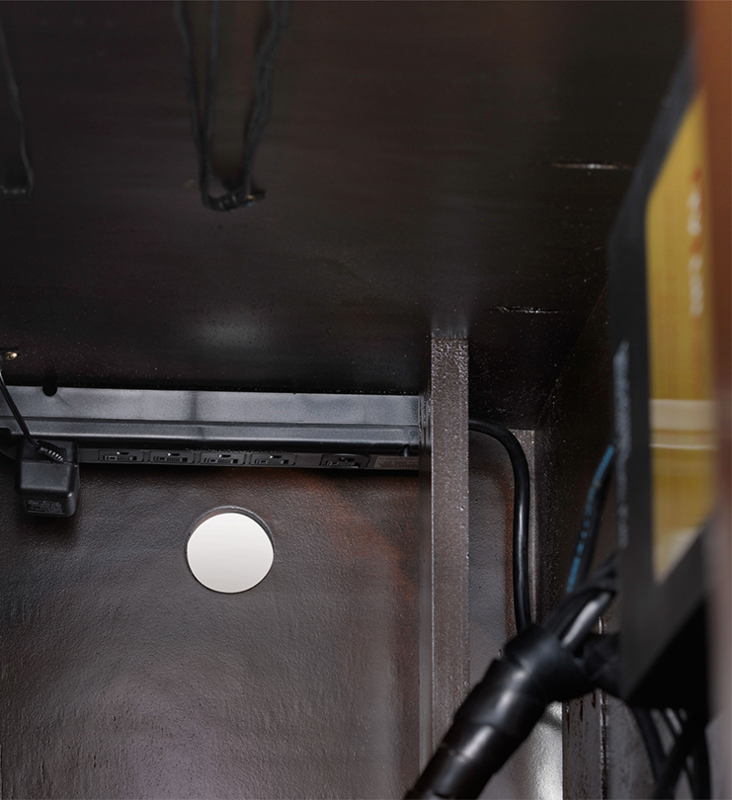 Our integrated wire management passages will keep all of your components wires well-connected but neatly hidden away. Securing your TV to the lift prevents accidents. This is particularly important in households with small children with curious hands and jumping pets. Once bolted to the lift, you no longer have to worry about falling TV’s. The beauty of TV Lift Cabinet media storage furniture is its ability to keep up with ever-changing electronics and technology. 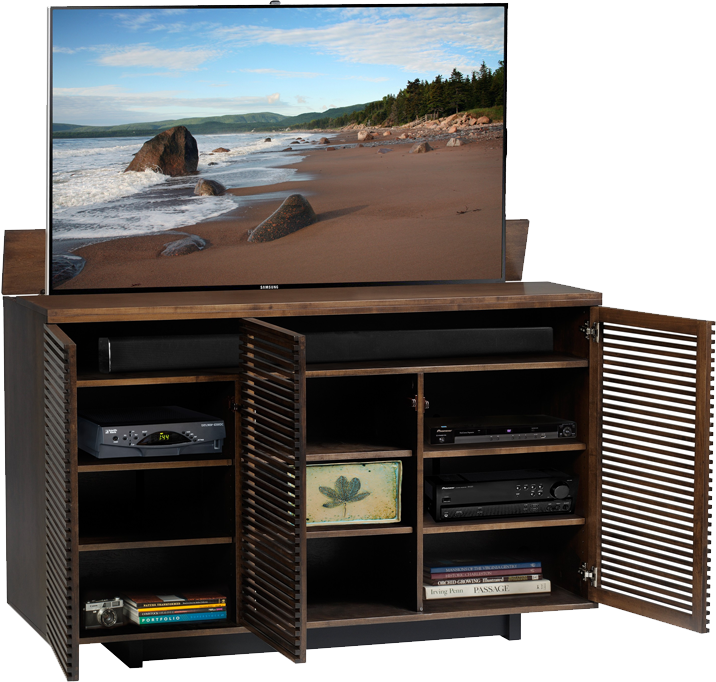 And with our exclusive assortment of modern design influences and shapes and sizes to choose from, TVLiftCabinet media consoles are timeless works of art, designed to look right at home for years to come.